Two American scholars were awarded the Nobel economics prize on Monday for studies on the match-making that takes place when doctors are coupled up with hospitals, students with schools and human organs with transplant recipients. 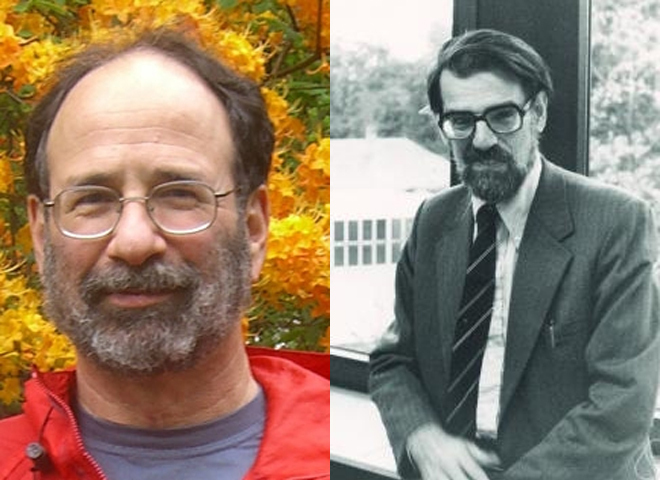 The work of Alvin Roth and Lloyd Shapley has sparked a "flourishing field of research" and helped improve the performance of many markets, the Royal Swedish Academy of Sciences said. Roth, 60, is a professor at Harvard University in Cambridge, Massachusetts, and Harvard Business School in Boston. Right now he is a visiting professor at Stanford University in California. Shapley, 89, is a professor emeritus at University of California Los Angeles. Citing "the theory of stable allocations and the practice of market design," the award focused on the problem of matching different agents in a market in situations where prices aren't the deciding factor. Shapley made early theoretical inroads into the subject, using game theory to analyze different matching methods in the 1950s and `60s. Together with U.S. economist David Gale, he developed a mathematical formula for how 10 men and 10 women could be coupled in a way so that no two people would prefer each other over their current partners. While that may have had little impact on marriages and divorces, the algorithm they developed has been used to better understand many different markets. In the 1990s, Roth applied it to the market for allocating U.S. student doctors to hospitals. He developed a new algorithm that was adopted by the National Resident Matching Program, which helps match resident doctors with the right hospitals. He also helped redesign the application process of New York City public high schools, ensuring that fewer students ended up in schools that were not among their top choices. Similar formulas have been applied to efforts to match kidneys and other human organs to patients needing a transplant, the academy said. Roth was in California with his wife when he got the call from the prize committee at 3:30 a.m.
"We missed the first call because we were asleep, but we had time to wake up and think that might be what it was," he told The Associated Press. "My wife is going to go out and get us some coffee, and maybe we'll absorb it." He said he didn't expect things to change too much, and that he would teach a class at Stanford on Monday. "But I imagine that they'll be listening with renewed interest," he said. "I think this will make market design more visible to economists and people who can benefit from market design." David Warsh, who follows academic economists on his Economic Principals blog, says Roth's work has revolutionized the way organs are matched to patients. Before Roth, he says, "there were no economists in that business at all. He's really changed it, and saved a lot of lives." Prize committee member Peter Gardenfors said the winners' work could also be applied to other areas, such as allocating housing to students or refugees. "There are economic problems that can't be solved with normal market mechanisms," Gardenfors said. "With these matchings there is no money involved so the main thing is to follow what kind of preferences people have  who wants to be matched with whom  and find a good solution to that." The Nobel Memorial Prize in Economic Sciences was the last of the 2012 Nobel awards to be announced. It's not technically a Nobel Prize, because unlike the five other awards it wasn't established in the will of Alfred Nobel, a Swedish industrialist also known for inventing dynamite. The economics prize was created by the Swedish central bank in Nobel's memory in 1968, and has been handed out with the other prizes ever since. Each award is worth 8 million Swedish kronor, or about $1.2 million. Last year's economics prize went to U.S. economists Thomas Sargent and Christopher Sims for describing the cause-and-effect relationship between the economy and government policy. The 2012 Nobel Prizes in medicine, physics chemistry and literature and the Nobel Peace Prize were announced last week. All awards will be handed out on Dec. 10, the anniversary of Nobel's death in 1896.